Malvern Cricket Club is a small, friendly yet ambitious cricket club. We currently run two senior sides, a successful junior setup and a Sunday social XI. Our Regency Road ground situated in Malvern Link is well known amongst local teams for its welcoming atmosphere and we regularly attract County junior level representation. Malvern Cricket Club are actively seeking new adult and junior members. Details on subscriptions can be found here. Looking for Corporate Facilities or Room Hire in Malvern? We can provide a great venue for functions of up to around 50 people at competitive prices that include full bar and management. Current availability can be seen here. Our sponsorship packages are now available to view here. Winter nets are again being held at Malvern College starting in February. Many thanks to our sponsors for 2012. 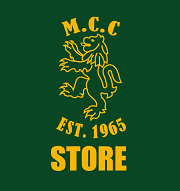 If you are interested in sponsoring Malvern Cricket Club, please visit our sponsorship page.